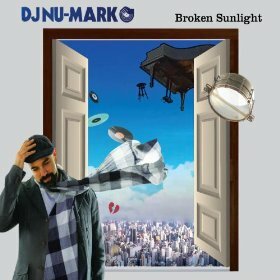 DJ Nu-Mark’s latest album, Broken Sunlight, will garner several layers of appreciation from music lovers and hip hop heads. Both groups will love the copious amounts of sleekly wholesome samples and instrumentation sliced together brilliantly. The episodic nature of lyrics and delivery easily bounce nicely between resilience, misery, contentment, bravado and caution. The latter emotion of warning addresses everything from cell phones, Microsoft Word programs, Martin Scorsese’s cutting room floor, reality TV and YouTube on “Tonight,” featuring rapper J-Live, M3 and versatile songstress Erica Dee. DJ Nu-Mark, a multi-instrumentalist and member of Jurassic 5, boasts all kinds of wicked skills on “Tropicalifornia,” which is a fiery Latin-kissed dance track featuring another renowned multi-instrumentalist, Quantic. Marimbas, horns, steel drums, keys, toy turntables and an accordion only to name a few build against delirious guitar riffs set rhythmically ablaze. The revenge-fueled “Feel The Way About It,” pits the pros of a new love against an old one and features the extraordinary rap duo Tiron and Ayomari. From vibe-out gems, to dance floor blazers, to crazily emphatic musical charms and just good old self assurance like on “Never Be Wrong,” featuring rapper Haas, Broken Sunlight is holistic, edgy and diverse.